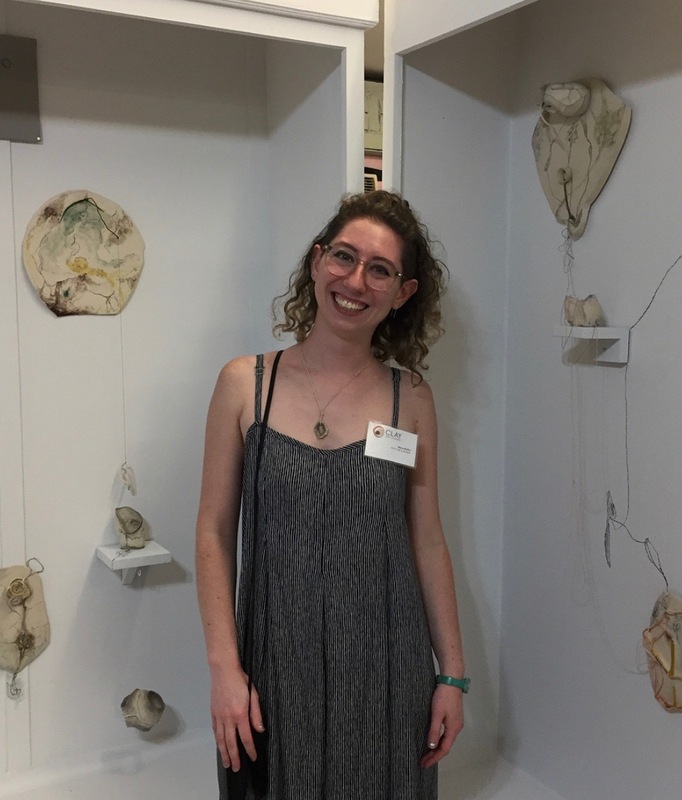 Dana Reifer is the Westchester Community Foundation Resident Artist at Clay Art Center, where she is both a maker and an instructor. This summer she will be teaching Splatter Platters, Wheel Boot Camp (Week 2), Pueblo Pottery, and Lemonade Stand at our summer camp programs that run from the first week of July through the end of August. Prior to arriving at CAC in September 2017, Reifer grew up in Ardsley in Westchester County. Later she went on to obtain her BFA in Ceramics at SUNY New Paltz, and had a brief studio assistantship with THEY curator Roberto Lugo. Reifer started working with clay at a young age, but when she was a teenager she participated in a summer program at Snow Farm School of Crafts, where she met and was inspired by artists Elaine Buss and Ariana Kolins. She believes that this summer program was the thing that set her on her path to art school. Other artists that have influenced Reifer are Lauren Gallaspy and Linda Lopez. “Gallaspy makes me think about vulnerability and subtlety in critical ways, and I look to Lopez for her incredible sense of mystery and visual communication,” she states. Reifer uses her ceramic works to explain the things she struggles to articulate verbally. She grew up with as an atypical learner, which made for struggles in school, and she uses her work to communicate and articulate from that perspective. “That disconnect became a space I wanted to examine on my own terms so as to begin to understand it and bridge it. I use ceramic objects, paper, fibers, and wire to create space specific installations. When I finish each of these installations, it usually feels like a finished thought or sentence made visible,” she states. She believes that her work fits into places beyond the ceramics sphere, which in turn is where she believes contemporary ceramics is moving as a whole. “I enjoy blurring the lines or sculpture, installation, and drawing as a means of both freeing myself as a maker, as well as interrupting old school art hierarchies,” states Reifer. Because Reifer is a Westchester Community Fellow, she plays a large part in the community arts programming at CAC, unlike the other artists-in-residence. Working in the community arts program has allowed her to help create mosaics and work at outreach events, which she would not have had the ability to do otherwise.